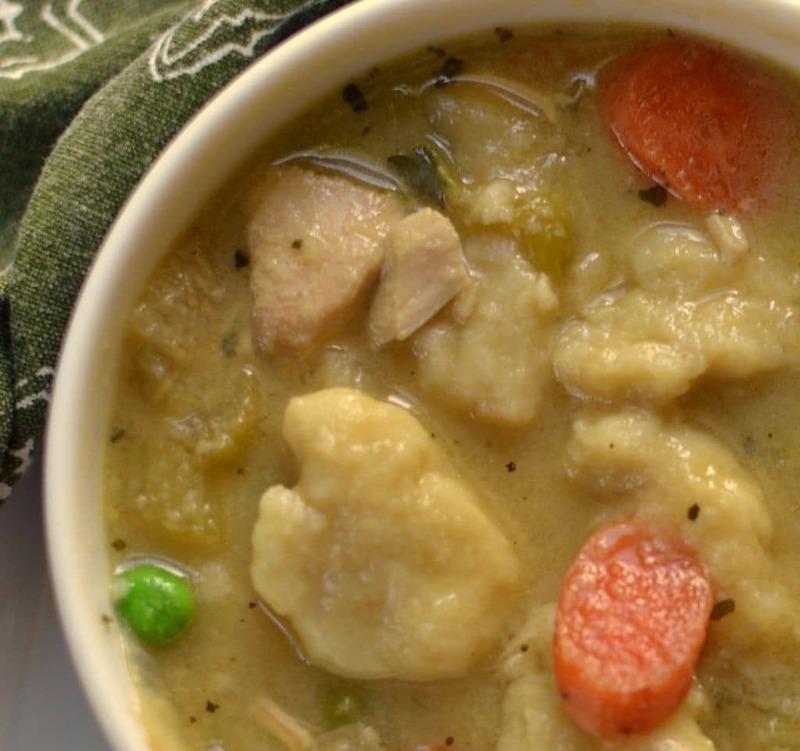 There is just something very comforting about chicken & dumplings. I love both the stew version and the soup version. Both are equally delicious and cozy. This soup version uses rotisserie chicken. It matters not if you cooked it yourself or if you were slacking like me and picked it up at Costco! Look at that! 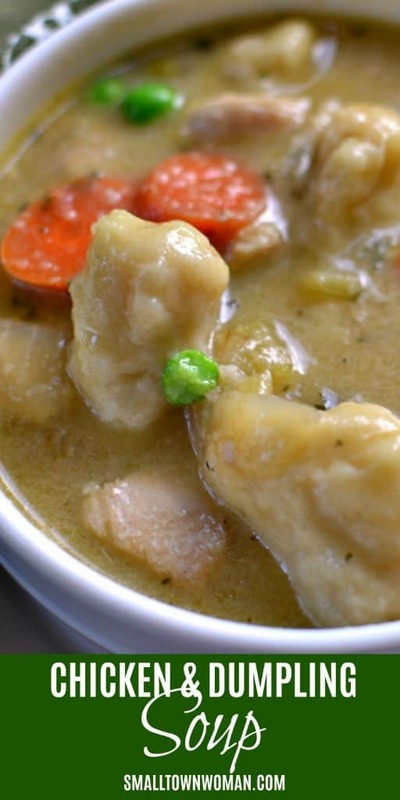 Creamy broth, succulent chicken, sweet carrots and light fluffy dumplings can satisfy your longing for good home cooked comfort food! Trust me! I know! No need to go home and visit Mom! You got the recipe right here! Melt butter over medium heat in large saucepan. Add onion, celery and carrots and cook until fragrant approximately 4-5 minutes. Add garlic and cook for an additional minute. Add parsley and sage and stir in. Add chicken stock & bay leaf and simmer for 45 minutes. Remove bay leaf. Season with salt and pepper to taste. Add chicken and frozen peas and simmer for an additional 15 minutes. For dumplings mix flour, baking powder, sugar and salt. Cut in butter with pastry cutter. When crumbly add milk and stir just until combined. Drop by small spoonfuls into simmering soup. Cover and cook for 15 minutes without removing the lid. I have a lovely spice shop that I am able to get dried sage leaves from but I am sure not everyone has access to this. You can substitute 1/8 to 1/4 teaspoon ground sage. 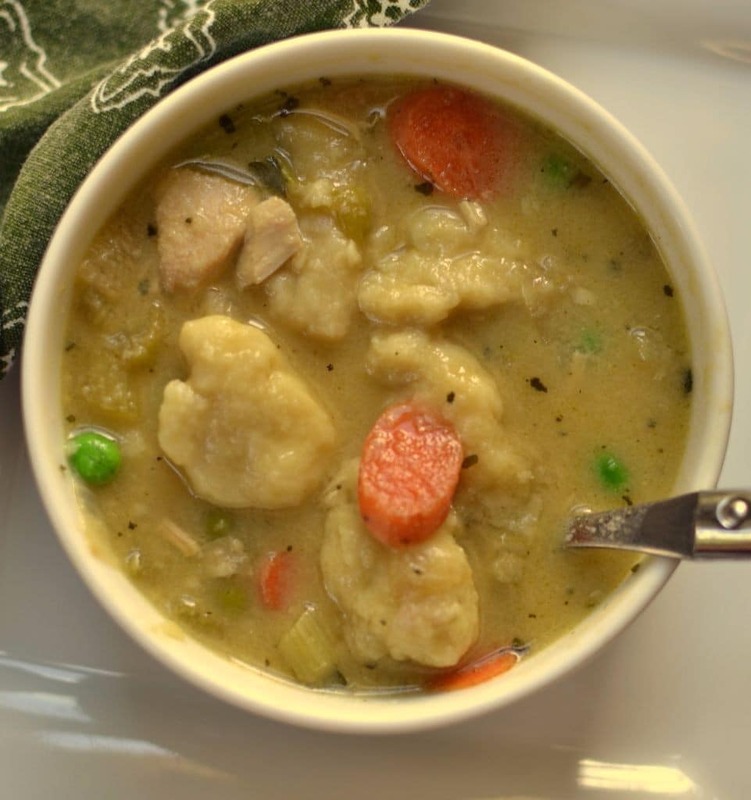 I’M doing Trim Healthy Mamas & this is great as the family enjoys the dumplings & the soup is GREAT FOR ME!! I must have missed this wonderful complement. Thank you so much! I love those soup recipes and have tried some of them . I really like your site. Thanks so much!!! I appreciate it!! i haven’t tried it yet but it smelled wonderful. i have to say my broth is very dark from the sage?! You must have good fresh sage!! Well what did you think? This reminds me of my grandmother’so. 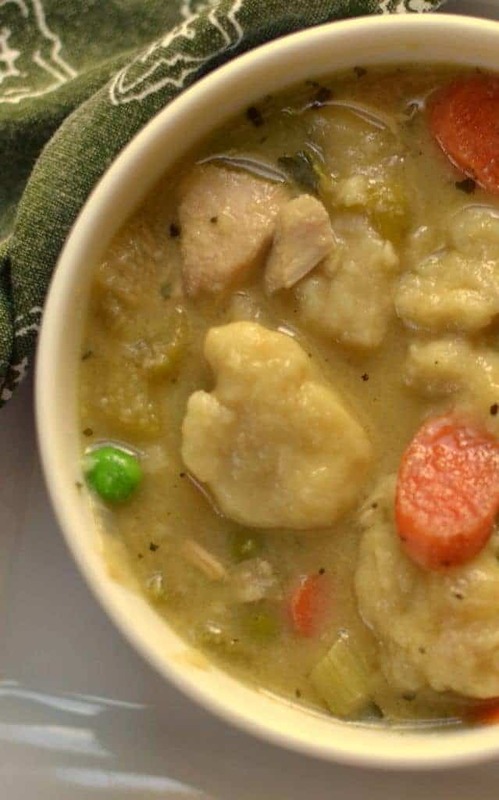 Would you share the “STEW RECIPE” that you spoke of. Yes I sure can. I will do that today on Facebook! How much servings does this make? 4 servings. Sorry about the delay. I changed host companies last night and a couple of things went haywire.